Over 800 Children in New York City Public Housing Test Positive for Elevated Lead Levels - Dupee & Monroe P.C. New York City officials recently released information showing that hundreds of children in public housing have tested positive for lead poisoning in recent years. Mayor Bill de Blasio has determined to investigate approximately 130,000 New York City Housing Authority (NYCHA) apartments where lead paint may have been used. Read on to learn about the report and investigation, and contact an experienced New York personal injury attorney with any follow-up questions. Up until recently, Mayor de Blasio and other New York City officials claimed that fewer than 20 cases of children with elevated lead levels had occurred in the city in recent years. Earlier this month, NYC health officials released figures showing that over 800 children under the age of six alone had contracted lead poisoning from the city’s public housing units between 2012-2016 based on new more stringent thresholds for measuring blood lead levels. NYCHA admitted that there was lead paint used inside at least 92 of its housing developments and that it had not inspected for lead paint hazards from 2012-2016. A new city policy required NYCHA to inspect for lead paint in every apartment where children under 18 reside and have been found with lead levels above a certain threshold. Following NYCHA’s admissions and the outrage expressed by New York City residents, Mayor de Blasio announced that the city would test for lead in every one of the 130,000 NYCHA apartments that may have lead paint. Even small amounts of lead can lead to serious health problems, and it often builds over the years to lead poisoning. Some of the potentially hazardous long-term effects of lead poisoning include developmental delays, learning disabilities, decreased bone and muscle growth, seizures, hearing loss, and other brain damage. 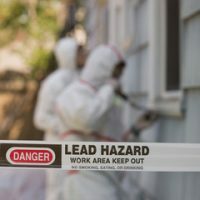 Those suffering from lead poisoning or parents of children with lead poisoning may be entitled to legal damages from their landlords or the City of New York, such as for medical expenses and pain and suffering. Earlier this year, mother Teisha Jones won a $57 million settlement against the city due to her daughter, Dakota’s, developmental damages caused by lead poisoning from a Bronx apartment. New York State Senator Gustavo Rivera then introduced “Dakota’s Law,” which would establish a system of preventive measures that address instances of elevated blood lead levels in children, including mandatory screenings and blood tests for lead to be covered by insurance companies. If you or a loved one have experienced lead poisoning in New York and need effective legal help evaluating and pursuing your claims, contact the passionate and dedicated personal injury attorneys Dupée & Monroe in Goshen and Manhattan at 845-294-8900.